Yeah, this was sadly, a total fail for us too. Never again. Wow, it’s strange how different people’s preferences can be! 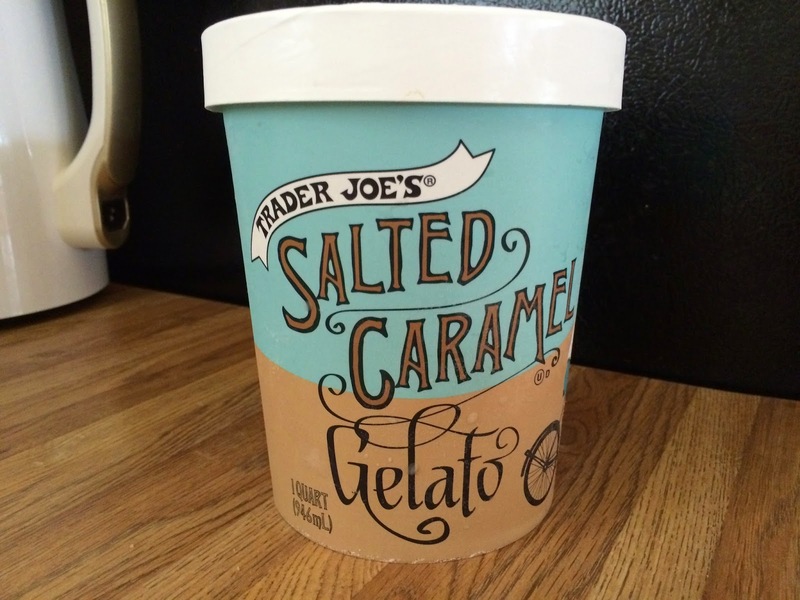 I LOVED the salted caramel gelato but hated the cookie butter ice cream. I think it may be my favorite ice cream. It wasn’t lightweight in my opinion and tasted reminiscent of butterscotch. Funny, because I love this stuff. It’s smooth, creamy, and very flavorful. It keeps me out of the local gelato shop right up the street from Trader Joe’s where the gelato is excellent but I spend more for one scoop than I do for a whole tub of TJs! The cookie butter didn’t do it for me. Viva la difference! 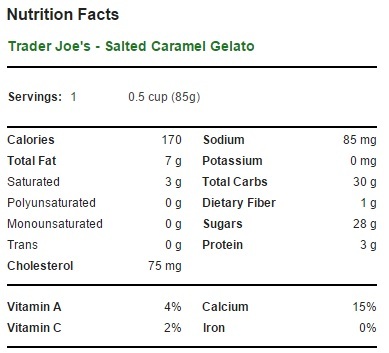 I also loved this (much richer and creamy than other salted caramel ice creams or gelatos I’d had in the past), but am not enough of a fan of salted caramel to buy it again unless I have someone else to eat it. By the time I got to the bottom, I was burned out on the flavor 😉 My sister who is a HUGE salted caramel fan thought it was comparable to her go to Talenti Salted Caramel gelato. This is indeed a failure both with regard to texture and flavor balance. Absolutely pass on this! Try this next to a best of breed flavor like McConnell’s Salted Caramel Chip as a frame of reference. I had this at my daughter’s house. I thought it was great. Her husband and son are also big fans. Strange how differently it seems to different people. Seriously – you must have been testing their pizza dough. This Gelato is/was nothing less than spectacular. It is the sole reason I found an excuse to get back to TJs on a weekly basis. But then, alas – they no longer carry it. Guess I have no reason to go back to TJs. I wholeheartedly disagree. I’ve lived in Italy and this gelato is definitely up there on my list of favorites. Also it tastes EXACTLY like a creamy, chewy, soft caramel. How could you go wrong?? Despite the fact that I am not a huge salted caramel fan, and there’s no fun stuff in it, this is one of the best ice creams I have ever eaten. Probably top 3! I’ve had gelato in Italy and US supermarket “gelatos” have been very disappointing in taste and texture. More like ice milk. This one is very creamy with a strong flavor. One of my two favorite TJ’s products, along with the sticky toffee cake.